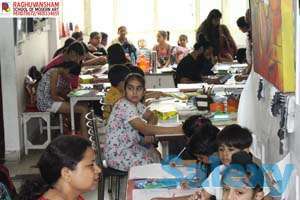 For about a decade-Raghuvansham school of modern art, a best fine art institute in delhi has been helping end number of students and artists from across the city to achieve their dreams and aspirations. The fine art institute is run by the artist duo- Raghuvir shah and Rachna shah. Both are art graduates from college of art and ihave over 15years experience in taking art classes. 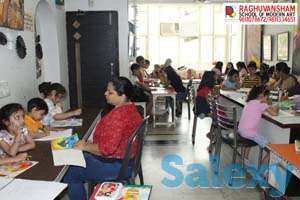 Raghuvir shah holds tremendous fame for its all holistic and career specific courses and classes such as drawing,paintings, sketching, applied art, sculpture, art teaching and photography. 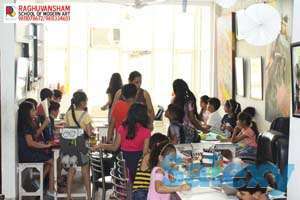 Raghuvansham School of Modern Art has taken commendable steps to make art education affordable and available to all. 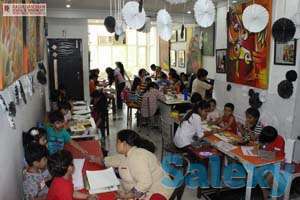 It also organizes many art exhibitions, events, art melas and educational art tours. Director Raghuvir Shah personally feel that every individual has a creative mind with creative hands so why not give them freedom to play with colors. 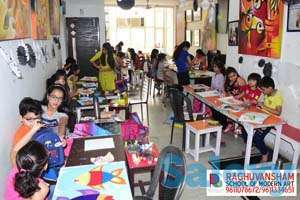 With an experience of over 15 years they have been inspiring children to enjoy art and have also been training aspiring students for fashion designing,,college of art, N.I.D,NIFT ARCHITECTURE,ANIMATION,PHOTOGRAPHY and other FINE ART INSTITUTES.